DAYTONA BEACH, Florida (January 29, 2019) --The 2019 racing season came roaring into action this weekend as Daytona International Speedway played host to the championship-launching Rolex 24 At Daytona as well as the IMSA Michelin Pilot Challenge (IMPC) race. The races—four hours of competition for the MPC runners and a grueling 24 hours for the WeatherTech event, were wildly different. Friday’s MPC event was staged in ideal cool but sunny conditions, while the Rolex 24 featured treacherous wind and precipitation that drew multiple caution periods, red flags, and culminated with the checkered flag flying before the scheduled 24 hour mark. But one thing was exactly the same in both events, as the cars that fought to the front for the chance to roll into Daytona’s Victory Lane both featured AERO Sustainable Paint Technology. The first-ever race in the new era IMPC championship saw the AERO-liveried No. 75 Compass Racing McLaren piloted by Paul Holton and Kuno Wittmer blister the field as Holton claimed a new track record to capture the pole in Thursday’s qualifying session. Drivers have often said that any fast car is a good looking one, and the McLaren GT4 was no exception as the bespoke livery delivered an incredible visual with the storm grey and custom Compass orange looking as good as the car performed. The race showed that qualifying was no one-lap wonder as Holton and Wittmer had the car out front for the majority of the opening two hours. But a drive through penalty for jumping the start saw them rejoin the field 29th but then use that strong race pace to stage a massive comeback to win the BMW Endurance Challenge. Wittmer claimed the lead with just 7 laps to go and held on to take a huge win. Fellow AERO runners Carbahn/Peregrine Racing Audi R8 led the race with just over ten laps to go, but were forced to pit for fuel and cede their advantage. It was also a fuel issue for fan-favorite HART racing in TCR competition, as the team reported after the race weekend that it had been delivered the wrong type of fuel at Daytona so was down on power during the race. The race weekend was just starting as the green flag flew for the Rolex 24 hour on Saturday. The field was packed with entries putting the AERO Sustainable Paint Technology advantage to work as IMSA launched the 50th Anniversary season. 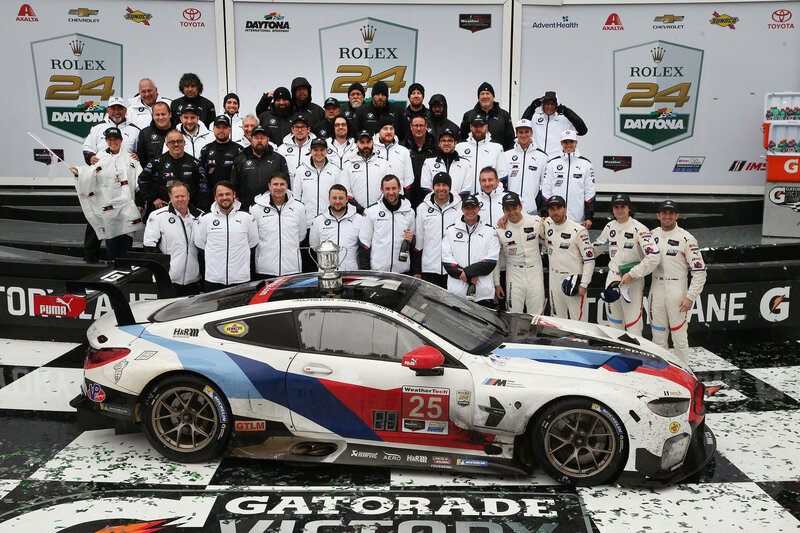 While it was the BMW Team RLL No. 24 BMW M8 GTE with legend Alex Zanardi that caught most of the pre-race headlines, an electronics issue cost that car time in the pits early in the race. Instead it was the sister No. 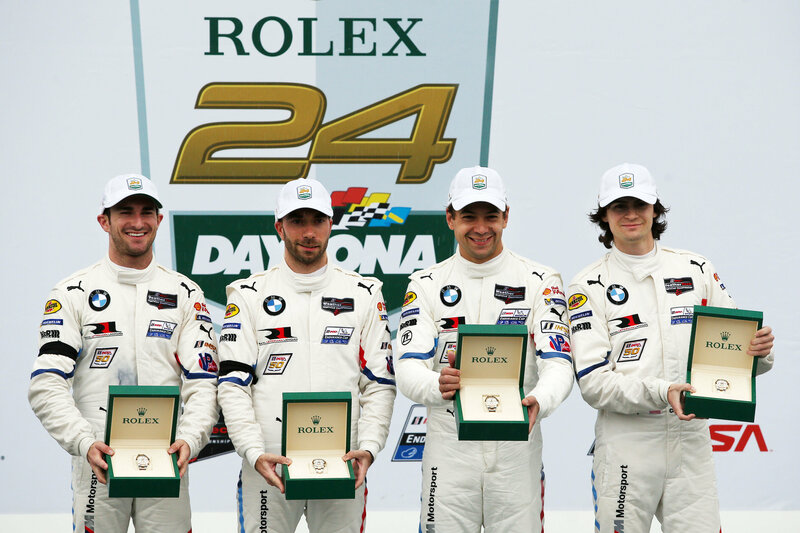 25 entry of Connor De Philippe, Rolex 24 debutant Colton Herta, Philip Eng and Augusto Farfus who claimed new Rolex Chronograph hardware with a run to victory lane in the Bobby Rahal-run BMW M8 GTE. Also on hand for the soggy post-race podium ceremonies were the all-American drivers in the No. 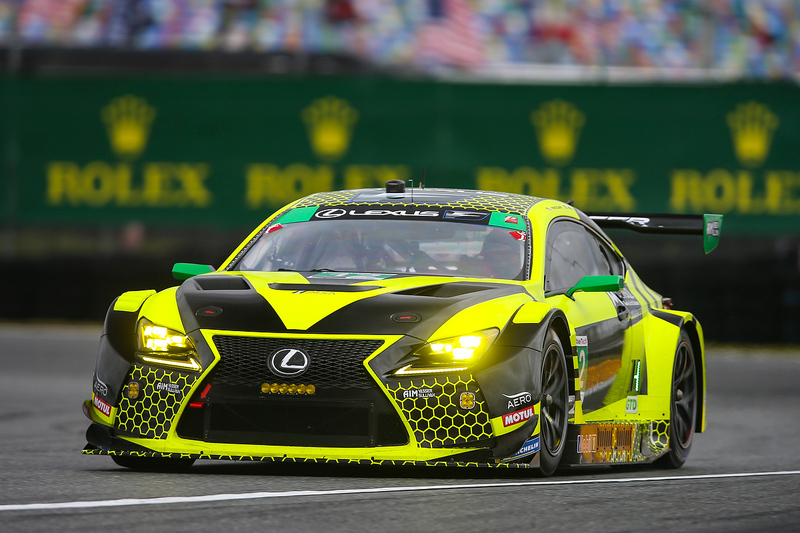 12 Lexus as the brand-new team came home third in the GT-Daytona class with drivers Townsend Bell, Frankie Montecalvo, Jeff Segal and Aaron Telitz.